By the Grace of Almighty Allah, Eastern Arabia C.C. won their 8th match against Emerald Ashes CC. A terrific team effort from Eastern Arabia CC was almost enough to see them over the line against Emerald Ashes CC on a cold Friday 20th January 2017. For much of the day Eastern Arabia CC seemed to be in control of their own destiny. The captain Imran Rasheed who never loses any toss once again won the toss and elected to Ball first. Eastern Arabia missing their pacers had 4 spinners and the only pacers was Mr dependable Muzahir khan who usually bowls in the depth overs had to start with the new ball. There was a breakthrough in the very first over to put Emerald ashes CC straight away on the back foot, and a 2nd too in quick sessions. Sharath and Biju had different plans where they played with steady heads and were all over Eastern Arabia CC bowlers. The score book read at 164/2 in the 20th over and it looked like EACC had to chase a big target and it’s was not looking good. Captain Imran took the responsibility on himself and claimed the much needed breakthrough of Biju and got his team back on track. 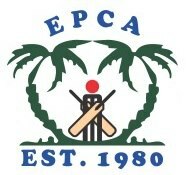 Then it was never look back for EACC and got Emerald ashes CC all out for 211 in the 30th over. EACC started the innings with their every green openers Niyas and Surjith with a bang… but Emerald ashes got rid of the dynamite Surjith soon. Niyaz was then joined by Afwan and both played with ease and before lunch EACC score was 47/1 in the 7th over. Right after lunch Emerald Ashes got a wicket of Niyaz. Emerald Ashes CC were back on track and they grouped and fought hard. Wickets kept falling which was due to some sharp catches by Emerald Ashes CC. Now it was game on for Emerald Ashes. So, after a disappointing start, the boys turned this game around and ended up playing some good cricket – well done mates. ← Albawardi gives a shock treatment to Tamimi and beats the table topper by 4 wickets.